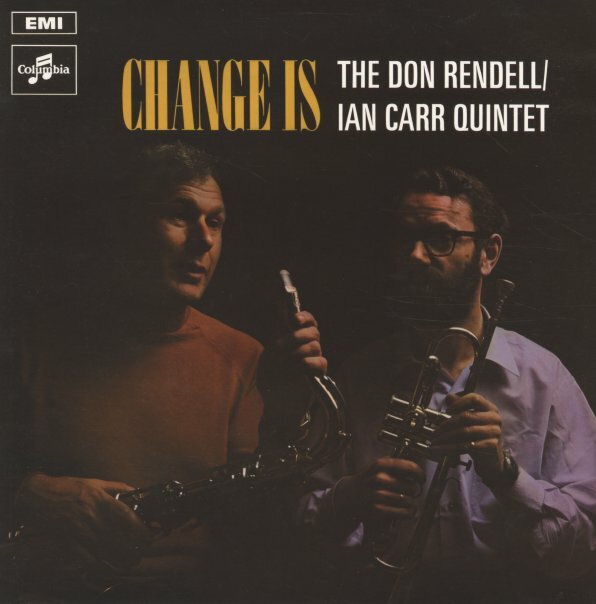 Change is certainly in the air for the famous group of tenorist Don Rendell and trumpeter Ian Carr – partly because this final set has some slight shifts in personnel, and partly because a few elements point the way towards new directions that Carr would take in the 70s! The core energy of the group is still beautifully intact – and most tunes still feature strong piano work from Michael Garrick, alongside the fantastic drums of Trevor Tompkins and bass of Dave Green – but there's also a point when Jeff Clyne comes in for a second bass, Guy Warren adds some percussion, and Stan Robinson brings in both added tenor and clarinet! None of the music is as electric as Carr's later Nucleus group, but you can definitely hear the door opening for new ideas – while the duo still continue that fantastic blend of modern moments and soulful swing that mark their seminal late 60s albums in the Lansdowne Series. Titles include "Elastic Dream", "Boy Dog & Carrot", "One Green Eye", "Cold Mountain", and "Black Hair". © 1996-2019, Dusty Groove, Inc.